Thoracic Group, located centrally in Freehold, NJ on the CentraState Medical Center campus, consists of two thoracic surgeons who have been working together since the early 1990s. Doctors Jean-Philippe Bocage and Robert Caccavale perform Video Assisted Thoracic Surgery (VATS), a procedure they helped to pioneer over twenty years ago. Unlike many other thoracic surgeons, they use VATS, a minimally invasive procedure, for an incredibly wide range of conditions that would otherwise require an open thoracotomy. This allows for fewer complications and quicker recovery time for patients. Dr. Caccavale is a Fellow of the American College of Surgeons. 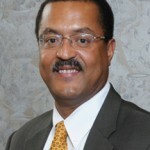 He serves as a Clinical Associate Professor at Rutgers Robert Wood Johnson Medical School. 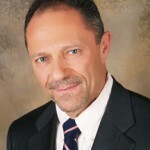 He has been recognized multiple times with the title of “Top Doctor” in New Jersey. For two terms, he was the President of the New Jersey Society of Thoracic Surgeons. Dr. Bocage completed both his cardiothoracic and general surgery residencies at UMDNJ-Robert Wood Johnson Medical School. He is the Co-Medical Director of the Lung Institute at Steeplechase Cancer Center as well as the Co-Medical Advisor of the LungCare Comprehensive Cancer Program at CentraState Medical Center. Lung Cancer: Our surgeons will determine if your condition, depending on subtype, diagnosis and progression, can be treated using minimally invasive surgery. Second Opinion: Consulting a second physician after getting a treatment recommendation is always advisable. Learning if a second surgeon would prescribe the same treatment will increase confidence in decision-making. Discussing with another doctor also ensures being informed of multiple options. Hyperhidrosis: Patients with this condition have excessively sweaty palms. This interferes with social activities and can make performing daily tasks extremely difficult. With a minimally invasive surgery, our surgeons can swiftly limit the impact excessive perspiration has on patients’ lives. Our Freehold office is located on the CentraState Medical Center campus on Rt. 537 (West Main Street), about one mile from Route 9. Please use the map to the right for directions from your specific location. To schedule an appointment in our Freehold office, please call 732-637-6348.